Reporters with questions about covering the courts in Nebraska should feel free to contact the Supreme Court Public Information Officer. “Expanded media coverage” includes broadcasting, televising, electronic recording, or photographing of judicial proceedings for the purpose of gathering and disseminating news to the public. Case Calendar Search for Trial Courts (iOS (link is external)) (Android (link is external)) – no subscription needed. 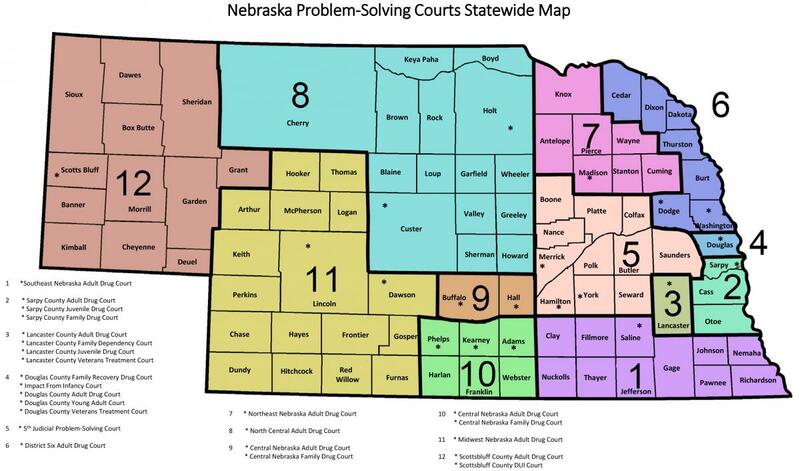 JUSTICE Case Search - available to Nebraska.gov subscribers. § 2-117. Media coverage of proceedings before the Nebraska Supreme Court and the Nebraska Court of Appeals. Media outlets wanting courtroom video of Supreme Court or Court of Appeals arguments for editing and rebroadcast of should review the court calendar and send an email to the Supreme Court Public Information Officer (link sends e-mail) requesting a drop box link to the courtroom video file. If requests are made at least a week prior to argument, Nebraska Educational Television with switch cameras between the judges and the attorney podium. All journalists are encouraged to subscribe to Nebraska.gov to access both trial court and appellate court case information including images of filed documents from any location at any time. Subscription services include a search of JUSTICE records by judgment date. Media can access the same information available by subscription through Nebraska.gov on a public access terminal available at each county courthouse during business hours. Note: Imaged documents are not available on the one-time search option through JUSTICE - journalists using the one-time search option must contact the court directly for imaged documents including court orders.